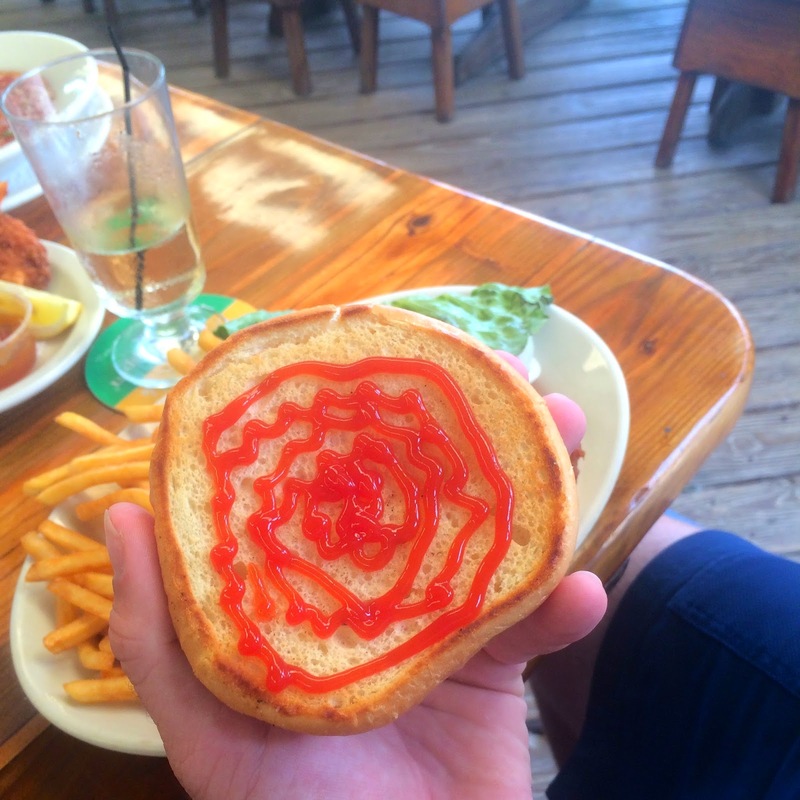 After fishing all morning, we were hungry for some good eats and stopped at a place nearby in Coral Bay. 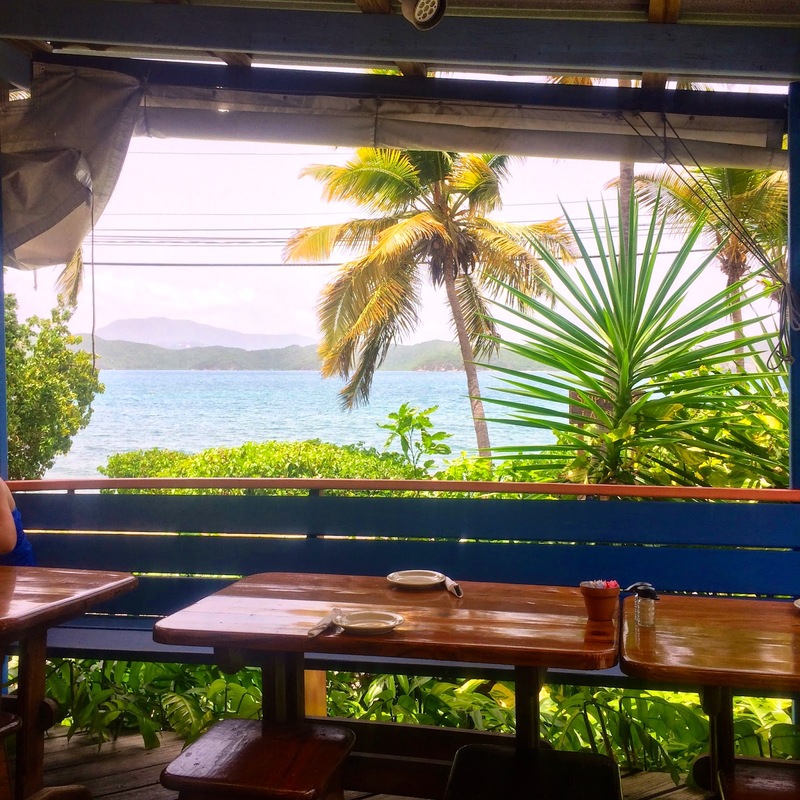 Shipwreck is the perfect lunch spot with it's phenomenal views of Coral Bay and their friendly service. 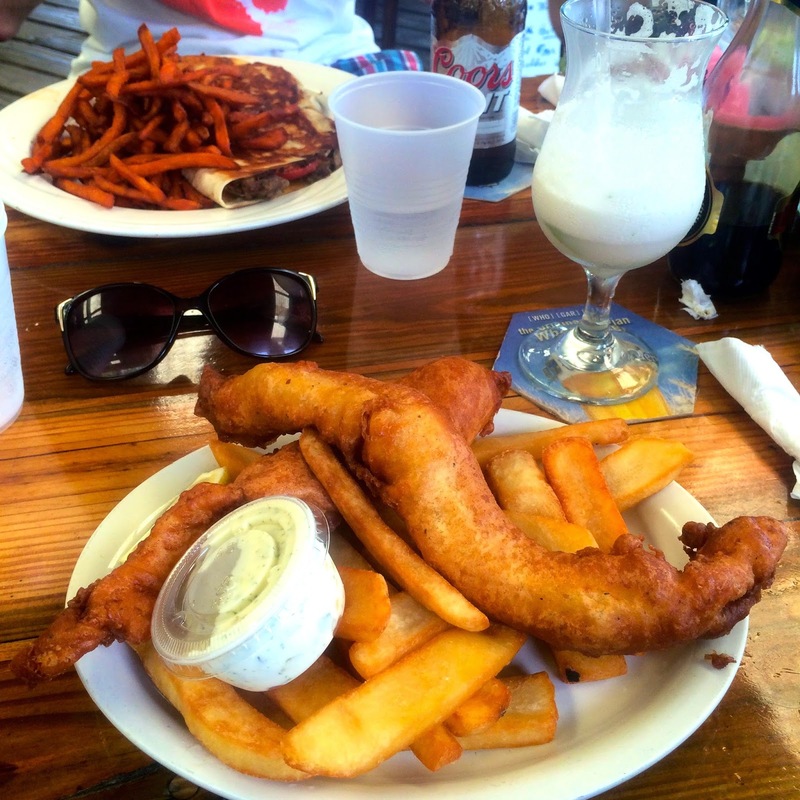 Don't let the sausage shaped Fish n Chips fool you. 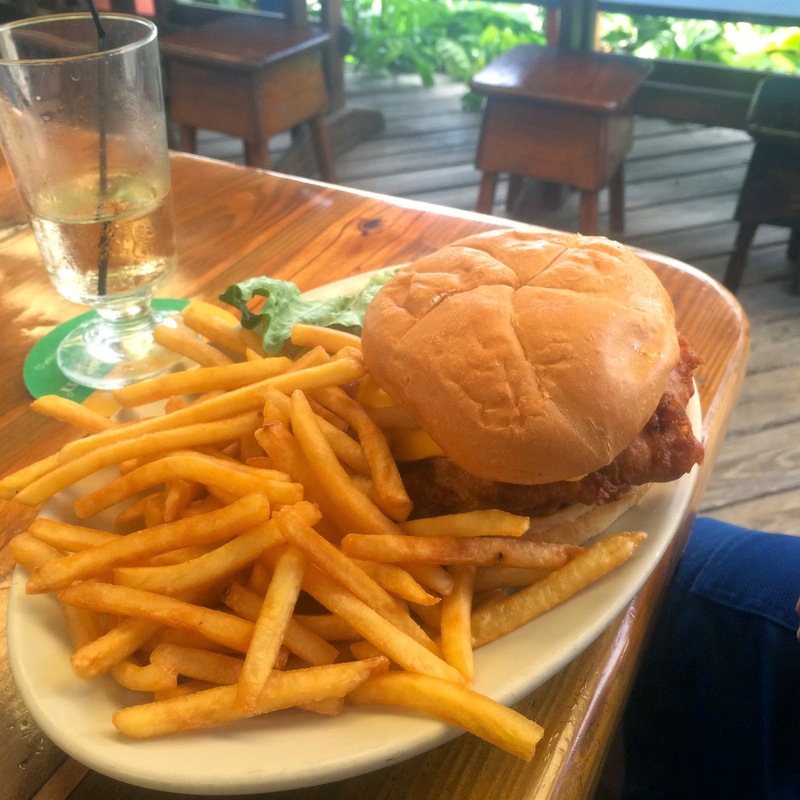 It was fresh grouper fried to perfection! 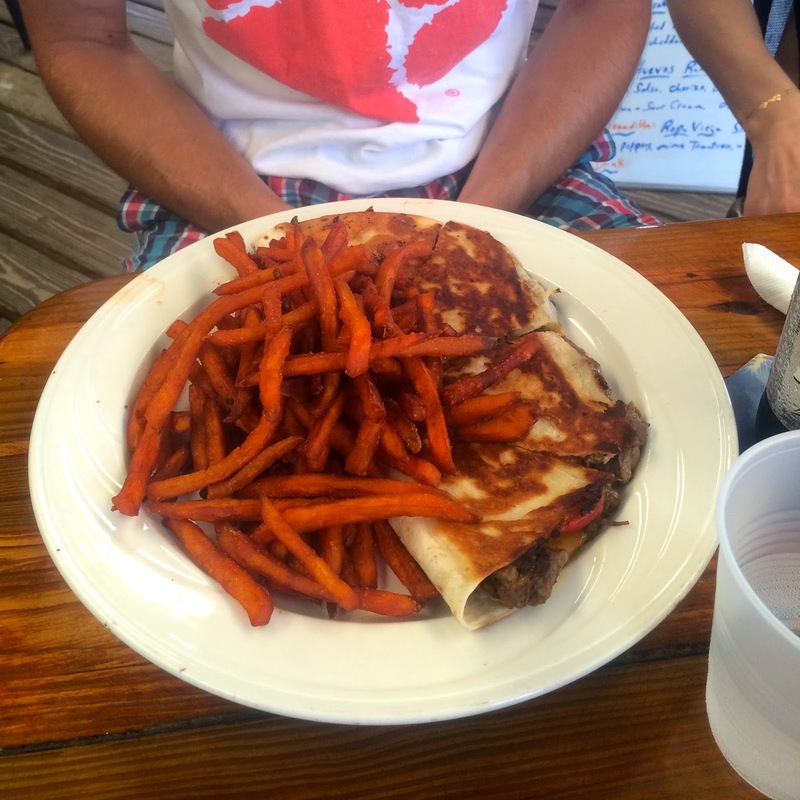 The quesadilla of the day featured flank steak and grilled pepper and onions, definitely a must have. 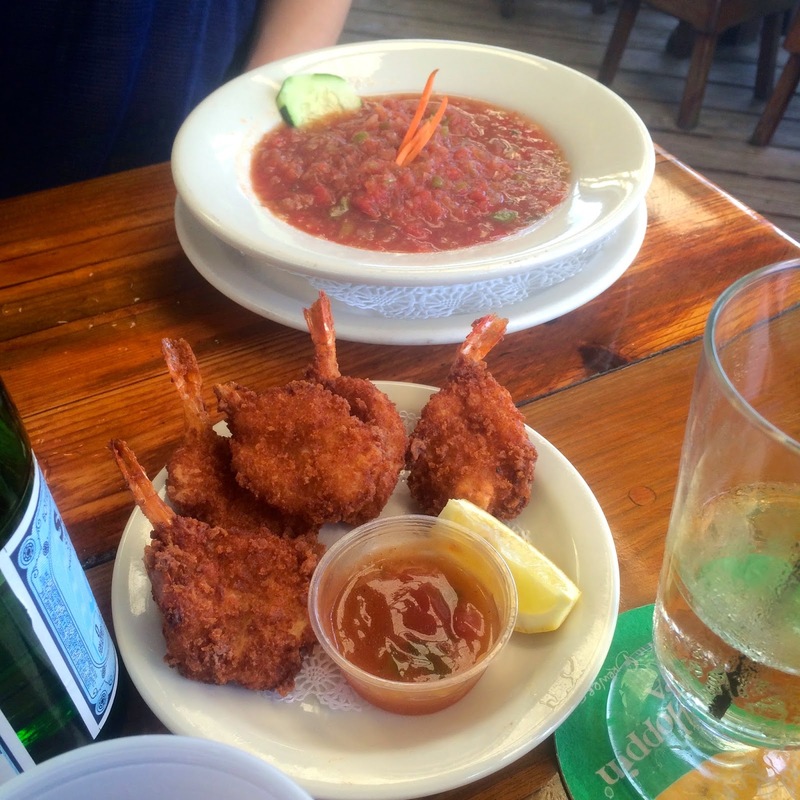 The Gazpacho soup left a little to be desired, but the coconut shrimp was on point. 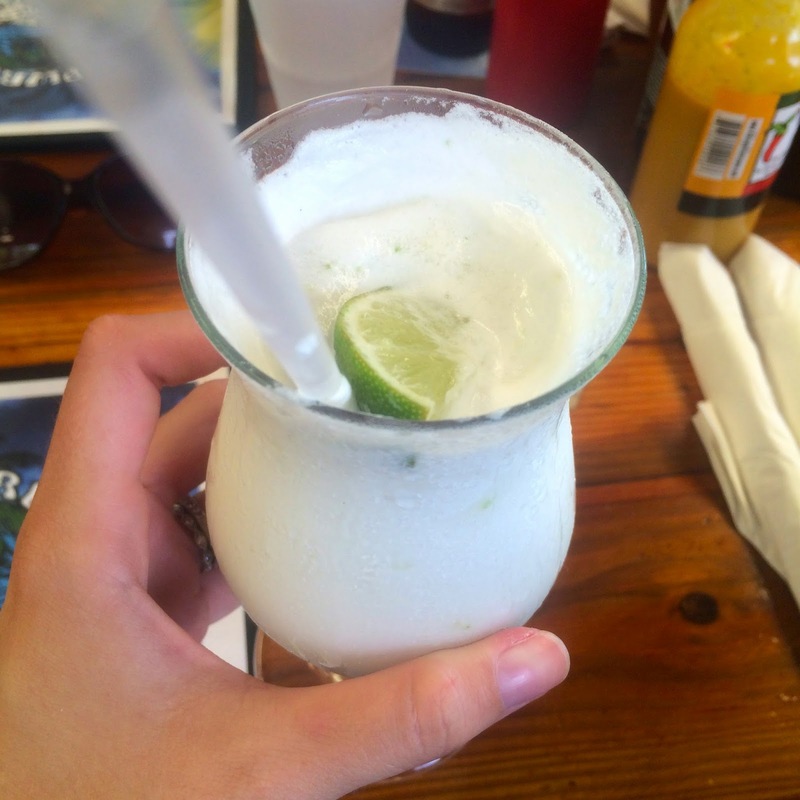 It had the perfect hint of island flavor to satisfy us until dinner. 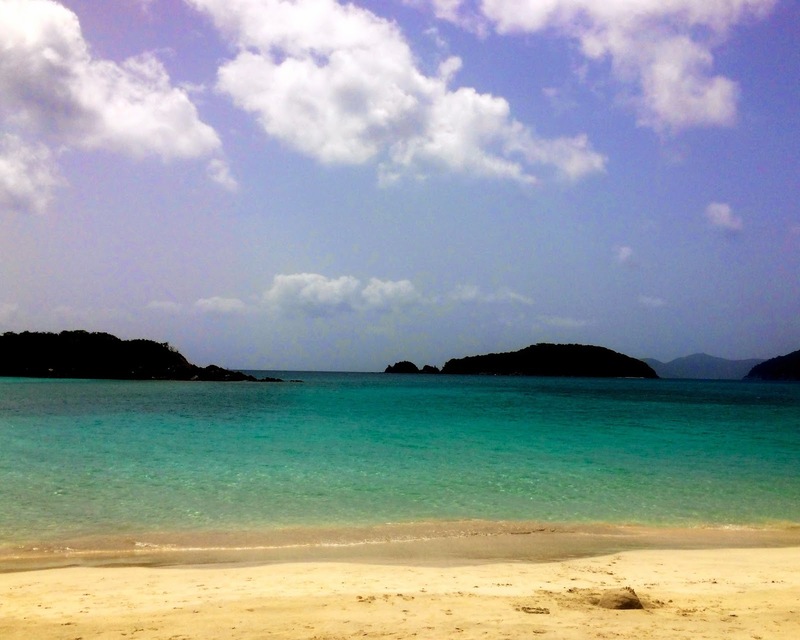 We enjoyed to gorgeous views of Cinnamon Bay after lunch. The beach had soft sandy beaches and some great snorkeling too. I was also so excited to wear my lovely coverup that the fine people at Eshakti sent me. Their website is a gigantic online clothing store that makes most items to your specific measurements. 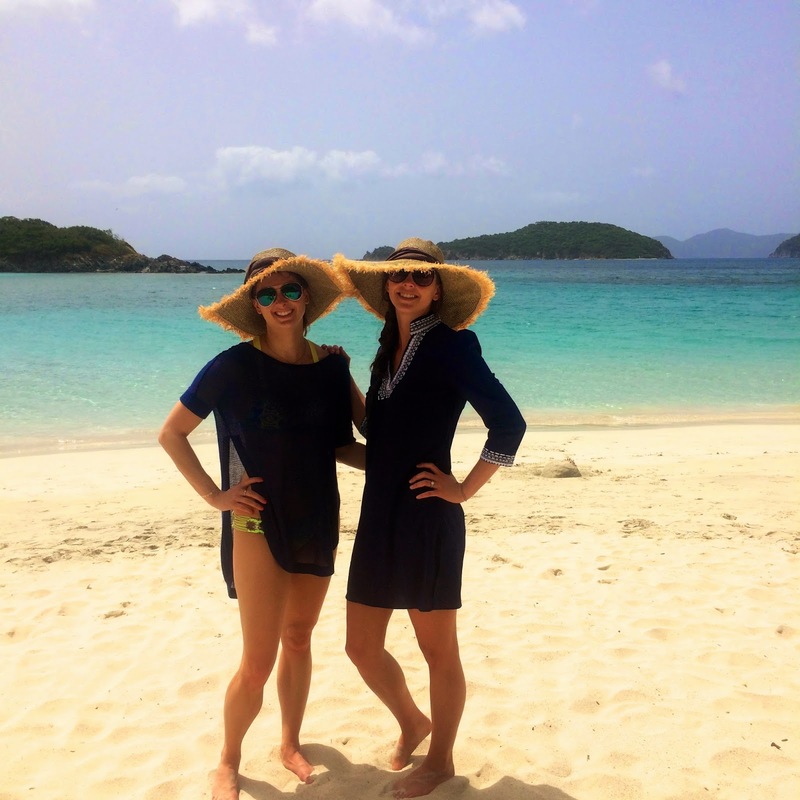 I couldn't wait to wear this lovely number on the islands, it was my go-to coverup all week. The best part about it is that it's light and breezy but is perfect for a fancier lunch spot between beaches. 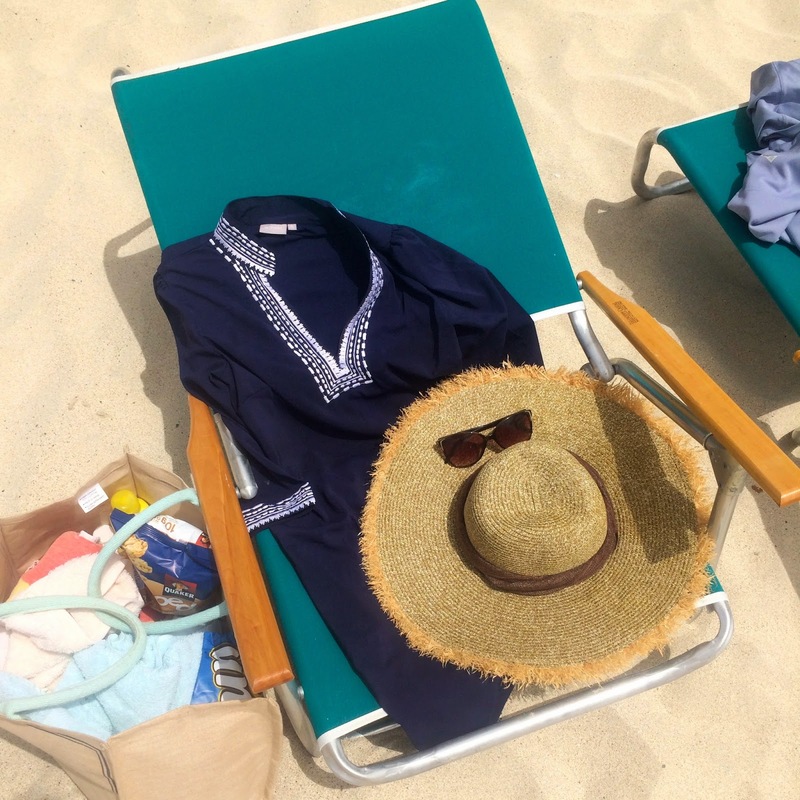 It's the perfect classy and versatile dress for any vacation. We spent several hours on Cinnamon beach before we went home for the night and grilled our fresh fish from earlier that day. Check back later this week for more fun from the islands!